Asheville is a dog town, so why not consider your four-legged family member during your next remodel. 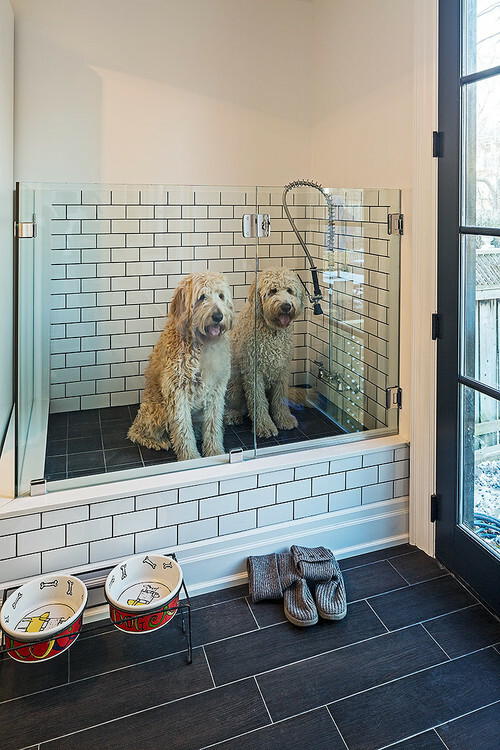 Incorporating a pet bath or dog friendly shower in your home is great for all the Asheville seasons! A perfect place to put your dog bath is the mudroom or laundry room. This concept below is one of our favorites... and the dogs are cute too!